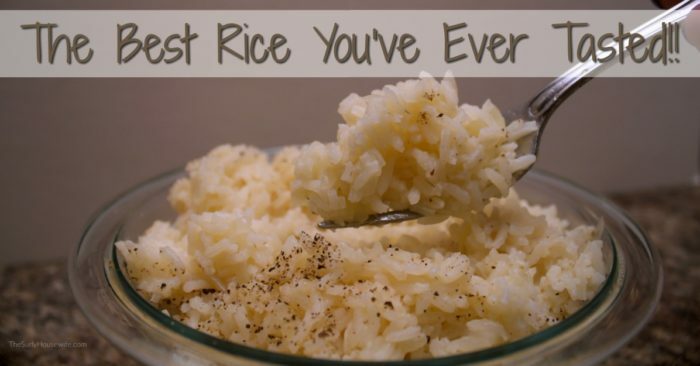 If you are looking for the perfect rice recipe, butter rice to the rescue! Rice and beans, beans and rice. It’s the mantra of frugal families everywhere. Having a beans and rice diet simply means having a cheap meal, but a meal that is good for you and filling! Today, I am going to share my rice recipe that is the perfect addition to your meal rotation. This recipe is perfect!! Perfect I tell you!! The texture is soft but not mushy, and the flavor is out of this world. I honestly had never heard of butter rice until Lauren shared it on her website Lauren’s Latest. Butter and rice are meant to be together like peas and carrots. 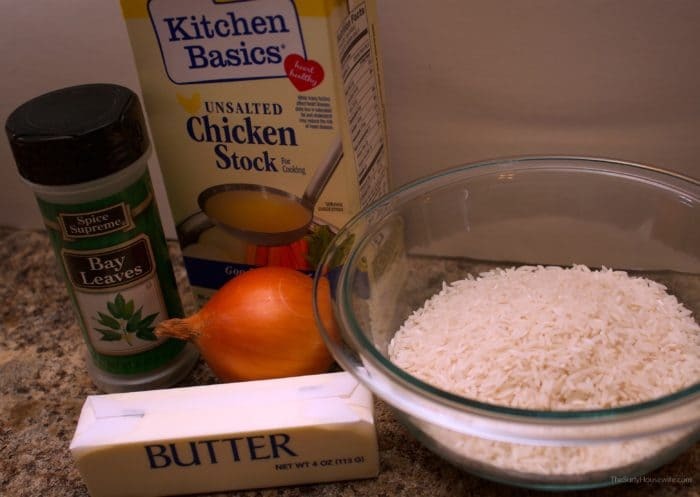 The secret to this great tasting rice, besides the butter, is using chicken stock instead of water. I learned that in my days of watching Rachael Ray. 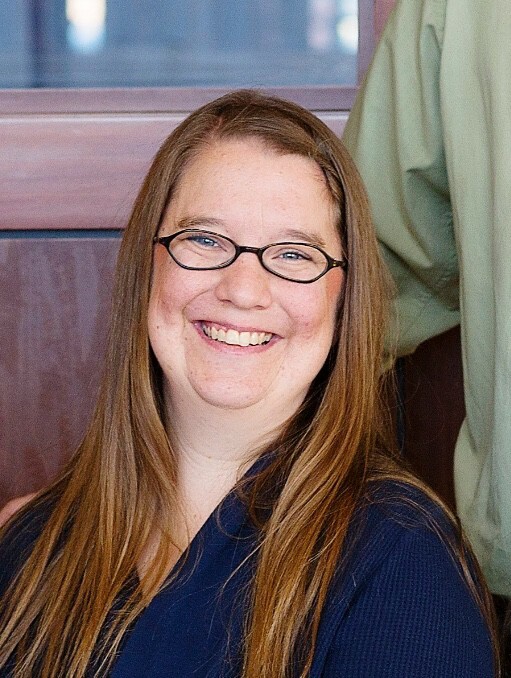 Another awesome tip from Rachael is the ration when making rice is always 2:1. Rice really is that simple! We use this rice to go with beans (obviously), stir fry, korean beef, and the flavor stands up to just being a side dish. I hope you try out this recipe. You will never look at rice the same!! 1. Heat large saucepan over medium heat and melt butter. 2. Add onion and cook for 2-5 minutes. 3. Add rice and stir to coat entirely with butter. 4. Pour in chicken stock, add bay leaf, salt, and cover. 5. Bring to a boil, and then reduce heat to low. Cook rice for 15 minutes or 5 minutes less than the rice package directions. 6. Turn heat off rice, but keep on hot burner for 10 minutes. Every great cook needs a great rice recipe. 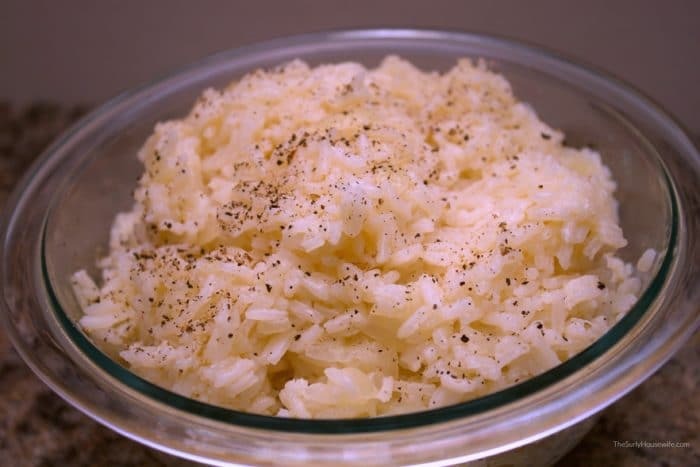 Butter rice will have family and friends clamoring for your recipe!